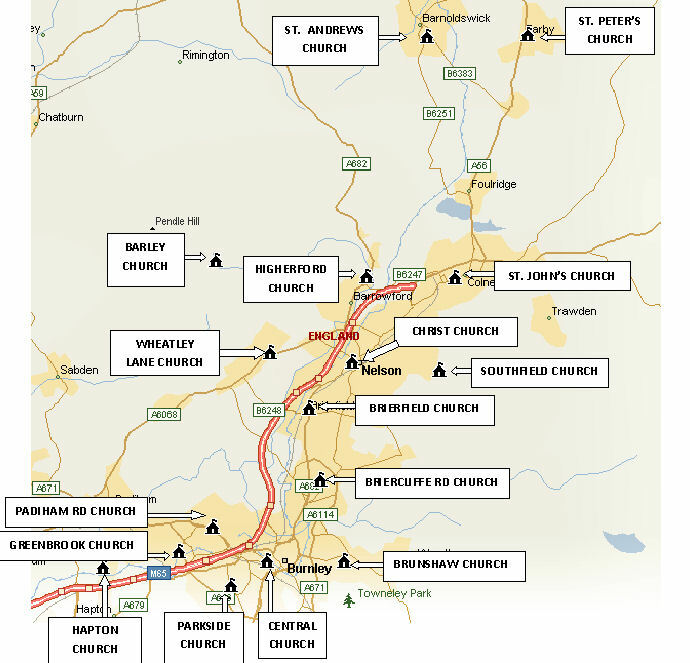 The Burnley and Pendle Methodist Circuit was formed in September 2017 and consists of sixteen churches in the towns and the surrounding district. It is part of the Lancashire District of the Methodist Church of Great Britain. 'Burnley and Pendle Methodist Circuit' churches. Wheatley Lane Road, Fence. BB12 9ED. 01282 617214. Manchester Road, Hapton. BB11 5RF. 01282 771654. The churches located close to these schools play an active role within them.